WOULD YOU LIKE THE CABLE OVER-JACKETED? 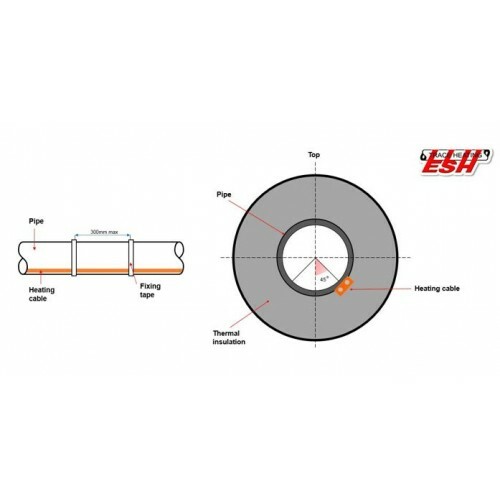 Parallel circuit - constant wattage trace heating tape for frost protection and temperature maintenance of industrial pipework and vessels. 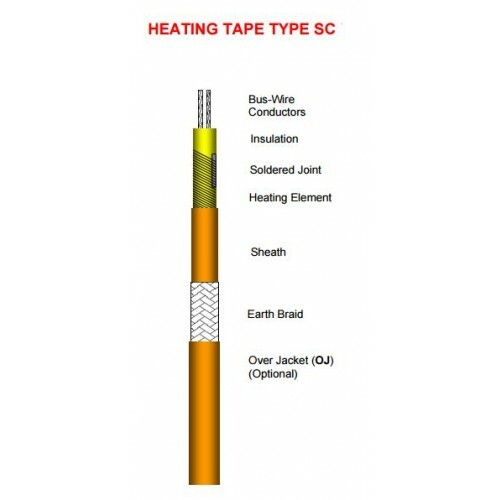 Type SC constant wattage heating tape is designed to be cut from reel lengths and site terminated to suit pipework. 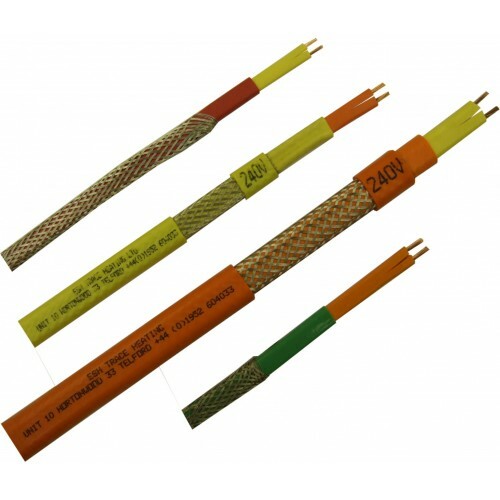 The heating tape consists of a number of short heating zones, each connected across a pair of continuous bus-wire conductors. Each complete heating zone will give its full rated design output with circuit voltage applied to the bus-wire conductors. 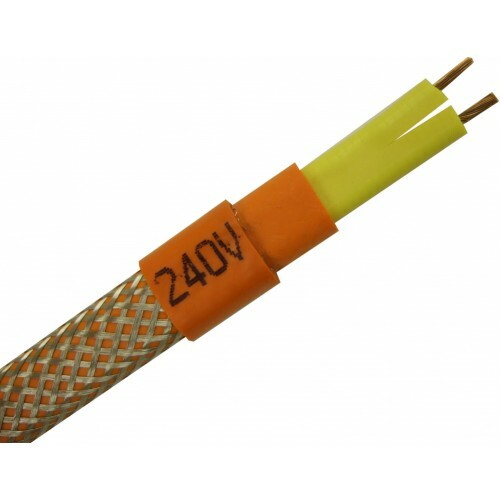 Type SC trace heating cable comes in varying power outputs and voltage types (other wattage loadings and voltages can be produced to order, contact us for advice). 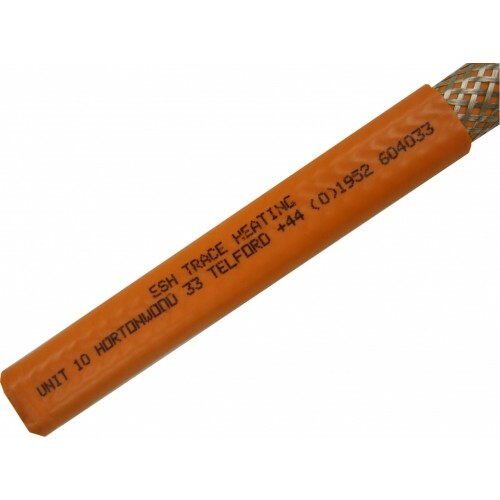 You will require a type SC/T termination kit to terminate/seal the front and back end of the heating cable. Thermostatic control is recommended with all trace heating installations and type SC tape is compatible with our full range of temperature controllers. 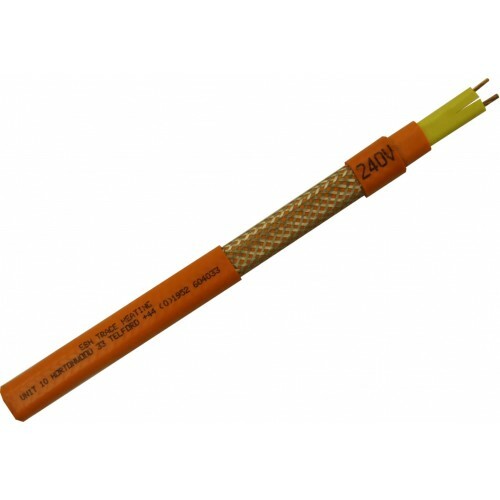 Prior to and following installation the heating cable can be fully tested for continuity and insulation resistance.